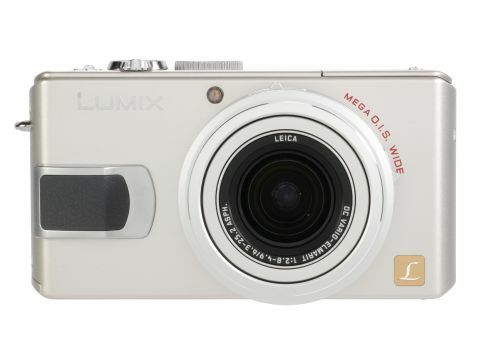 Megapixels make great headlines, but the LX2 suffers from noise and smudging even at low ISOs. That's a shame, because otherwise this is a great camera. Whether the extra 2 million pixels is an advantage is a moot point, partly because smaller pixels bring more noise (and more noise reduction) and partly because this 25% increase corresponds to only 2% more pixels in width and height. Regardless of megapixel ratings, though, this is an impressive camera. First, you have the more expert-friendly PASM exposure modes that keen photographers will be looking for. Second, there's the 'widescreen' sensor that gives you genuine 6:9 ratio images without cropping. Third, there's a 4x wide-angle zoom (28mm equivalent at the widest setting) with a built-in optical image stabiliser. In terms of resolution, controls and specification, the LX2 is right at the top of the tree. It will appeal to well-heeled beginners, it's a tempting camera for those upgrading older, less well- specified compacts, and it may even sway digital SLR owners looking for a second, go-anywhere camera. To make all these features more accessible, Panasonic has added a small joystick controller above the usual four-way navipad. You press and hold this controller to display on-screen menus for the metering pattern, ISO, white balance, image size/quality and drive mode. The same joystick also sets the shutter speed and aperture in the Manual and Semi-manual modes. It works, but the joystick has got a rather vague, heavy feel that could prove frustrating if you're in a hurry or wearing gloves. All these features, the engineering and the 10MP widescreen sensor don't come cheap - the LX2 is one of the more expensive compacts on the market. You're going to expect the very best picture quality from the highest-resolution sensor in any compact digital camera. In that respect, the LX2 is a disappointment. The past couple of years have seen megapixel counts going up but sensor sizes staying much the same. The result is generally a modest increase in definition but a significant increase in digital noise, too. This usually forces makers to incorporate more aggressive noise-reduction processes in-camera, and that appears to be what's happening here. Generally, the LX2 produces sharp, colourful shots, but the level of fi ne detail in real terms is not necessarily more than you might have got from an 'old' 7-8 megapixel camera. Often, though, images will contain fi ne textural detail that's unexpectedly 'smudged'. This is a classic side effect of strong noise reduction. What's disappointing is that this is often visible in shots taken at the LX2's lowest ISO 00 setting. As the ISOs increase, the noise reduction gets stronger. The LX2 boasts a maximum ISO of 600, and even a high-sensitivity ISO 3200 Scene mode, but by this point the image quality hasn't so much diminished as disintegrated. Coarse outlines are preserved, but fi ne detail and textures are smudged into oblivion. You get a picture of sorts, but these results are surely below what most photographers would consider acceptable. This might make you a bit more critical in other areas. The AF system, for example, is not at all fast, and it takes around two seconds to cycle between pictures in Playback mode. And the flash open button is right next to the fl ash so that it hampers its popping up properly when you release it.